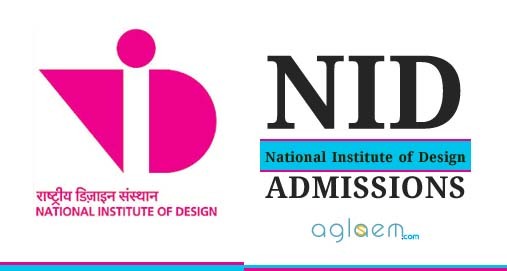 NID Result 2019 – National Institute of Design (NID) has announced NID 2019 Result for B.Des and GDPD today, on March 20, 2019, at 4:00 pm. 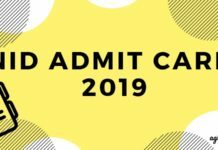 The candidates can check NID DAT Prelims Result 2019 from admissions.nid.edu or the link below. To check the result, the candidates need to log in by entering their Email Id and Date of Birth. The result for MDes was announced on February 20, 2019, at 4:00 PM. The result of NID 2019 contains the score secured by the candidates, along with the qualifying status. 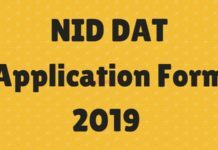 Know all about NID Result 2019 for prelims and mains exam, including qualifying criteria and merit list, from this page. Latest: NID DAT 2019 Prelims result for BDes has been released. Check from the link below. First, NID announces the result of the Prelims exam. The candidates qualified as per the Prelims are called for the Main exam. After the Main exam, the merit list is released and on the basis of it, admission is granted. The candidates can check all the important dates for the announcement of the NID Result 2019 from the table below. Click Here to submit the Re-checking request for B.Des/GDPD DAT Prelims Exam 2019. 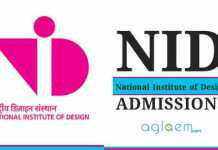 Click Here to check NID DAT Prelims Result 2019 for M.Des. 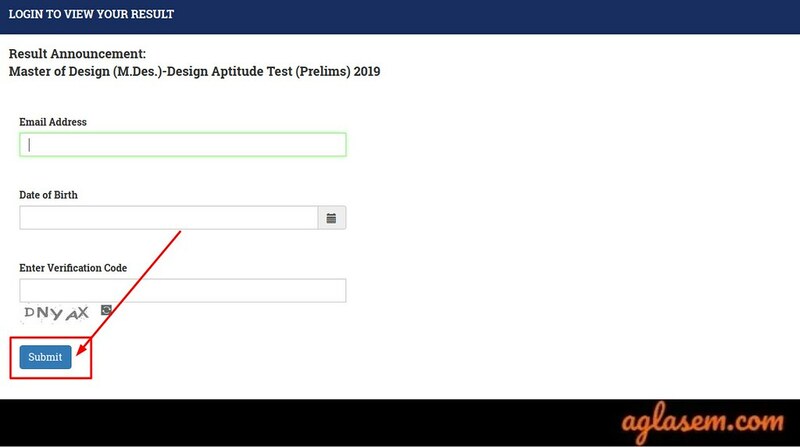 Click Here to Request Rechecking of NID DAT Prelims M.Des Result 2019. Click on the direct link which is going to be provided on this page to check the result. Candidates need to enter their registered E-mail ID, Date of Birth and Verification Code. After entering the verification code click on the ‘Submit’ button. NID DAT 2019 result is going to be displayed on the screen. Visit the official website, admissions.nid.edu or click on the link provided on this page. Click on the appropriate link of the “Login to submit Rechecking Request for M.Des. DAT Prelims Exam 2019”. Now, enter your E-mail ID, Date of Birth and Verification Code. After entering all the details, click on the submit button. The request for re-checking is going to be kept in consideration. Note: The request of rechecking is only going to be entertained if you have submitted the scanned copy of the admit card signed by the invigilator and seal of the examination center. Based on the merit list of NID DAT Prelims, eligible candidates will be required to appear for NID DAT Mains i.e Studio Test and Interview. The number of candidates shortlisted will be no less than three times the number of seats available per category in that discipline or programme. In case of a tie, i.e. if the total scores in the Prelims exam of two or more candidates are same, they will be assigned the same rank. Note that simply obtaining a rank in the merit list does not guarantee admission to the programme of your choice. Any requests sent without a scanned copy of the Admit Card will not be responded. Candidates admitted to the B.Des and GDPD programme shall be required to attend a mandatory foundation programme of one-year duration. Allotment of a discipline of choice shall be based on a candidate’s merit and choice only after successful completion of the foundation programme. Aspiring candidates can apply to a maximum of ONLY TWO disciplines for the M.Des. programme. The candidates can check the schedule for NID Mains 2019 for MDes Programme from below.